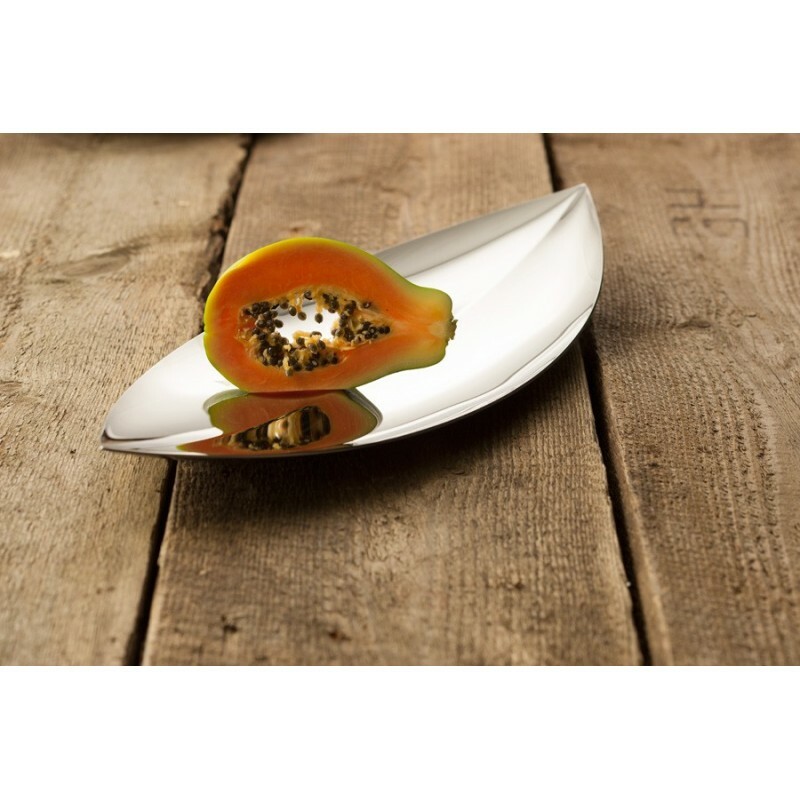 Objects, fruits and a great many treats are presented in our Liev bowl as if they are floating in a large ship of leaves. The Liev bowl is shaped like a large, sleek leaf whose ends bend inward in a natural way to safely hold the things you want to put in it. Despite its flat shape the Liev is never too narrow and always offers plenty of room to accommodate the things you want it to hold. 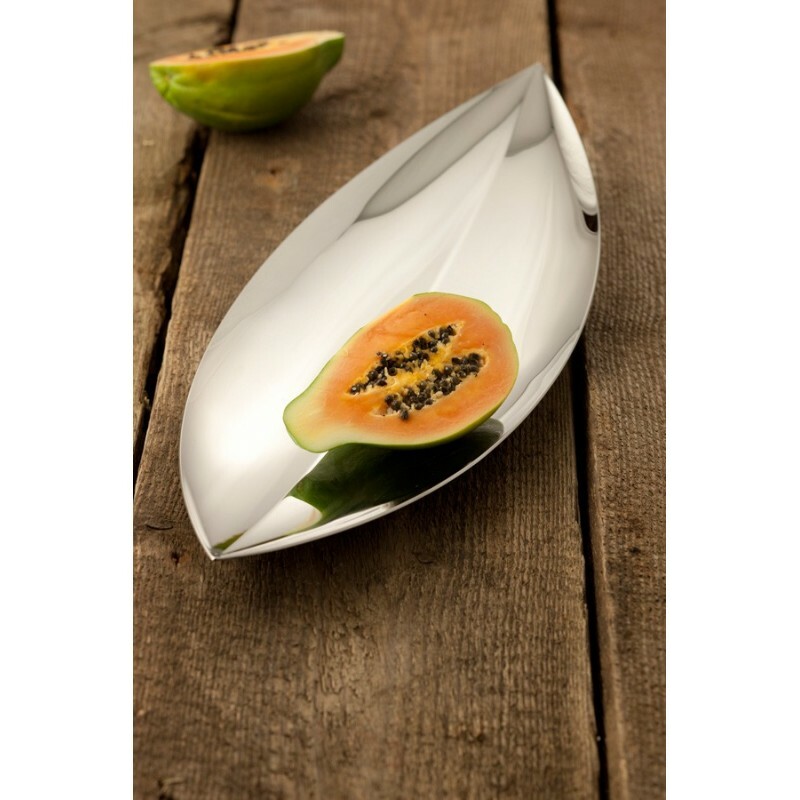 Its shiny 18/10 stainless steel is beautifully polished and offers an attractive contrast to colourful fruit, matte nuts and many other decorative or cosmetic items. Fill the bowl as your heart desires or simply leave it empty and allow it to beautify your rooms.Thanks to its simple, yet natural design, this leaf-shaped bowl fits in perfectly with its surroundings and creates a harmonious atmosphere. 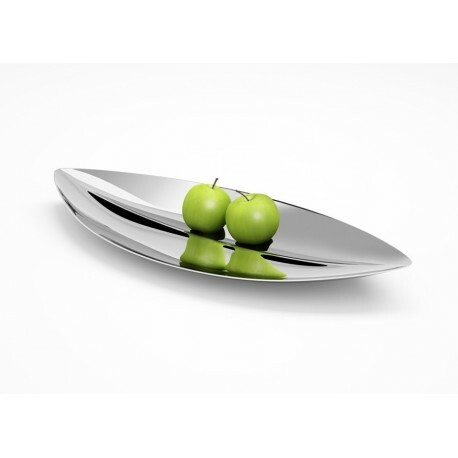 Present this stainless steel bowl on your couch table and add stylish accents to your living room. What is more, the Liev bowl made by Carl Mertens is also a great addition to every entrance area or hallway, where it can be used to hold keys and other small items and keep them readily available until you leave the house. When used in the bedroom, Liev can introduce a subtle element of calm if placed, for instance, on a console. 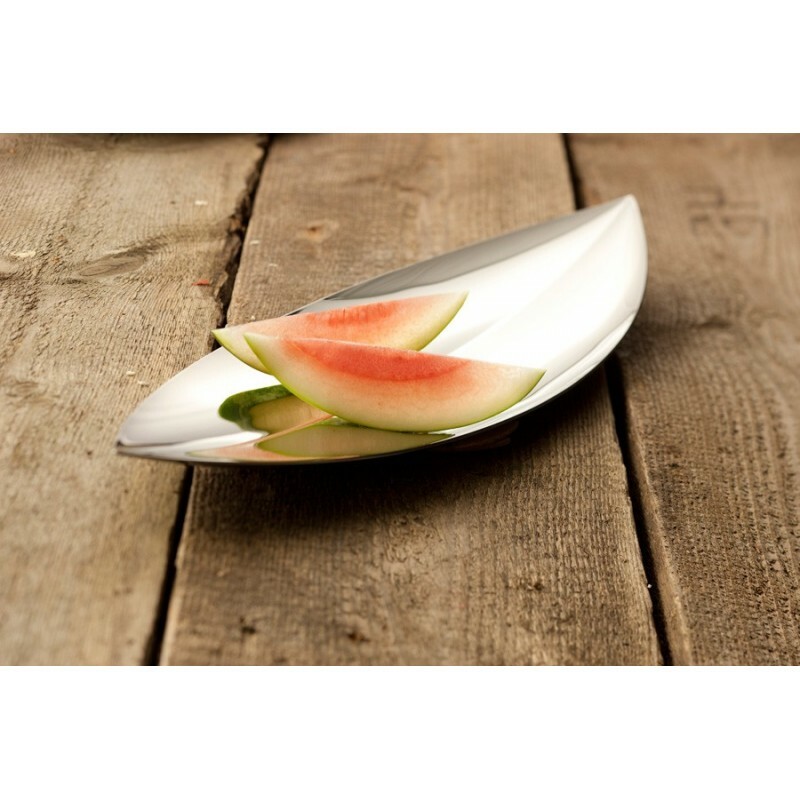 This beautiful bowl is also a special gift for your friends. Anyone who appreciates great design, natural shapes and an unadorned style will love this bowl made by Carl Mertens.